I am so excited to announce that my new book is now available at Wipf and Stock Publishers and Amazon. This book is for anyone who wants to follow in the footsteps of the Good Shepherd — dismantling the injustices of this world. It reads like a novel, but is a radical new (yet old!) commentary on the Song of Solomon. Read what people are saying about it. 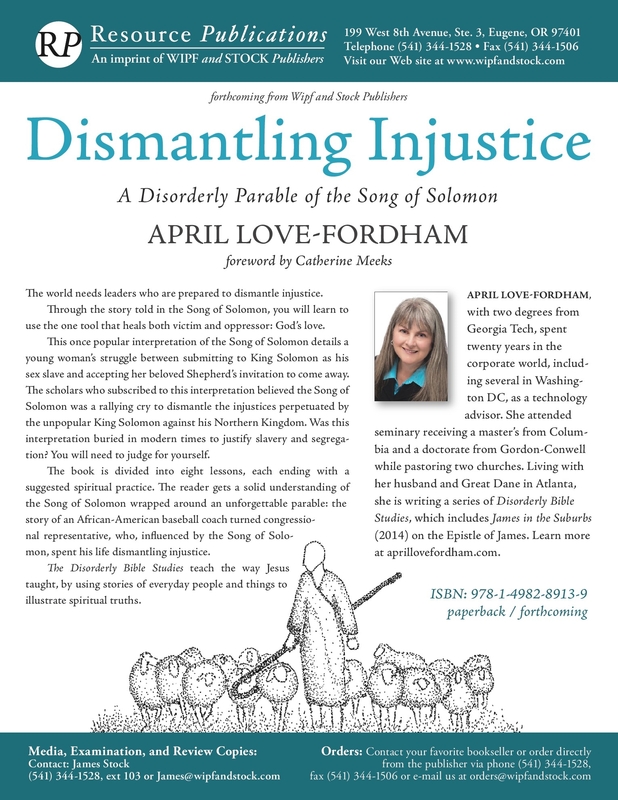 I would love to come and talk to your church or group about Dismantling Injustice! Foreword by Dr. Catherine Meeks. Art by Kit Fordham.